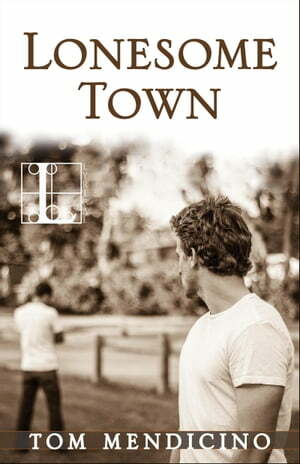 Collins Booksellers - Lonesome Town by Tom Mendicino, 9781601834423. Buy this book online. Charlie Beresford and Kevin “KC” Conroy came of age in Tom Mendicino’s KC, At Batand Travelin’ Man. Now they’re struggling with the realities of adulthood, in this powerfully honest story of unlikely friendship and enduring love. At twenty-two, Charlie Beresford has a Dartmouth degree, an entry-level radio job, and a hunch that he’s already made one of the biggest mistakes of his life. It’s no wonder his old high-school crush, KC Conroy, is wary when they encounter each other again. Five years ago, Charlie callously discarded him after they shared an intense adolescent affair. This KC is wiser and more worldly than the aspiring baseball star Charlie used to idolize. Back then, fame and success seemed a given. Now KC is chasing his last chance to make it as a pro, playing with an independent minor league team. But Charlie has changed too. Time and distance have taught him what’s worth fighting for, even when the odds are long—and that the only thing worse than striking out might be never taking a chance at all.